It is a very well know “fact” that the majority of people lose when trading the financial markets. Some people say it is a 90% of traders who lose, other say it is 85%, and others 95. This can be a very long debate and there are different answers depending on how you make the question. We can find quite often that the 95% of traders lose in the markets in the long-term. I think that it is not far from the truth. Though, it differs a lot if we separate the traders into different groups. For instance, binary options trading is not the same as mutual funds investing. Neither is it the same if we consider day trading or medium-term trading. There is, in fact, a huge difference. We could also think of different time frames. When we consider six months, the amount of winning traders is logically bigger than if we consider six years. How many traders lose in Forex, CFDs and Binary Options? I would say that the ratio of losers is certainly more than 90% when we consider those instruments. In the case of binary options, it could well be close to 100%. I know that there are a lot of people (working for the industry mostly) who claim they make a living out of binary options trading. I just do not believe it. They have good reasons to make other people believe that they are successful at it. The same can be said of Forex and CFDs. The reason by which most traders fail when entering the CFD and Forex arena is because they do “day trading” massively. Everything is made for that: great leverage, good spreads, liquid markets. Then, using some aggressive marketing you have millions of guys trying to steal the fire of the Gods, like Prometheus. Why do you think there are so many brokers out there? Well, because of a very good business when people lose doing day trading compulsively. It is very difficult to win in Forex or CFDs in the long term. Usually, it requires medium or long-term trading strategies. You will not usually find 500% per year returns, but you may find profitable accounts. There are a lot of people who think they have found the secret of trading when they develop a “winning day trading system”. It is very common to develop this kind of systems in forex using metatrader software. Countless people end up buying those systems that usually offer great returns. After a couple of years, most of them fail, of course. Some years ago there was a study made in the Taiwan Stock Market – a transparent and regulated market. The study took from 1992 to 2006. The results were devastating. After those years less than one percent (1.000 out of 360.000) of the traders were consistent winners. There were more winners in individual years, but not many guys would win two consecutive years. Some broker had revealed that the medium age of an account was three years old, while the size of the average account was $5.000. A broker confirmed myfxbook that 99.8% of their customers would lose money. A study done by the German Parliament found out that the accounts ranging from $1.000 to $5.000 were out of business before two years in most cases. A Metatrader 4 representative said that the number of losing customers was close to 99%. 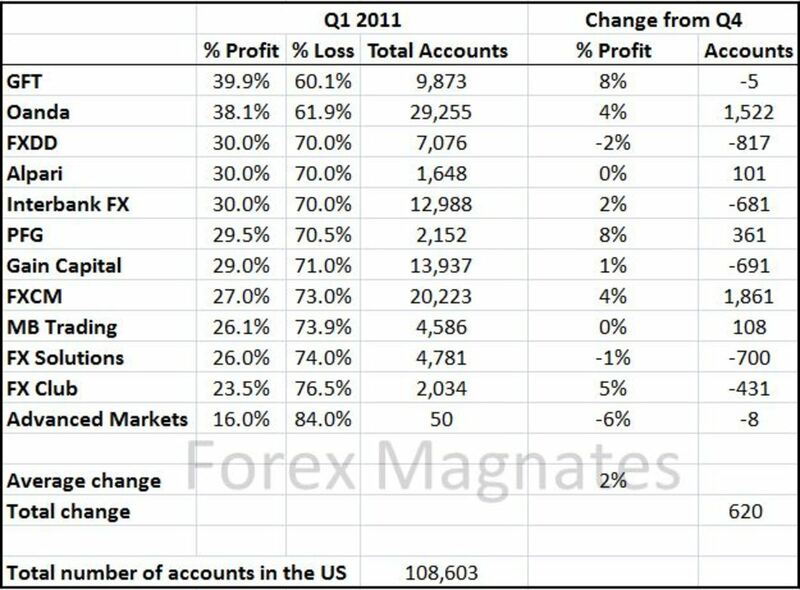 There are studies done by forexmagantes that show that the American brokers normally have 70% of losing accounts after one quarter. When we try to find the annual rate, it is close to 100%. That is because 70% of the 30% of winners in one quarter will certainly lose the next quarter. So, we end up having something like this: 0.3*0.3*0.3 =0.027% of winners after one year. When we see data like that we should meditate deeply. We should not be looking for great returns promised by day trading, but by keeping ourselves alive. If we want to stay in business after some years, we should try other trading approaches. Remember the story of Jesse Livermore and the rich guy who lived in the mountains. When there was a major move in the market that guy would go to the broker´s office and trade. The lesson is not to be always in the market. When you do day trading you are “always” in the market.